We wish you and your family the happiest of the holiday season and a healthy, prosperous New Year! Thank you for placing your skin care in our hands. We look forward to serving you throughout 2018! There are limited appointments left in December, but the calendar is open for scheduling in January and beyond. You are encouraged to book your sugaring appointments with Malia. Malia has been sugaring for over a year, and is very proficient in the art. She is passionate about sugaring and is very eager to provide you with high quality, continued care. Facials and body treatments can be booked with Megan or Malia. Please keep an eye out for training discounts that will be offered soon on sugaring services with Megan. We have made some changes to our Rescheduling Policy that will go into effect on January 1, 2018. 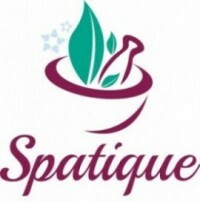 Visit the Spa Etiquette page of our web site for rescheduling policy and general policy updates. The expectation of exceptions to our rescheduling policy is not fair to other clients and not fair to your Therapist. We appreciate your respect in honoring our policy, and allowing us to keep your spa time reserved exclusively for you. Thank you for your loyalty! Thank you for your support! Thank you for another wonderful year of providing you with personalized, professional skin care! ▪ We will be closed December 24 – 26 and December 30 in celebration of Christmas and the New Year. ▪ Gift Cards can be purchased and delivered online 24-hours a day with up to 25% savings! When available, same-day appointments can be accommodated if booked online before 3:45 PM.